TEMPLE — The Temple post office will close March 24 at the end of the business day, because the building owner is terminating the lease March 31, U.S. Postal Service communications specialist Steve Doherty said. “We have been actively looking for a new location within Temple and are optimistic about having something in place by that time,” Doherty said. If not, residents will be served at the West Farmington post office at 126 Bridge St., about five miles away. “If needed at all, that would be a temporary fix until the new Temple post office could begin operation,” Doherty said. 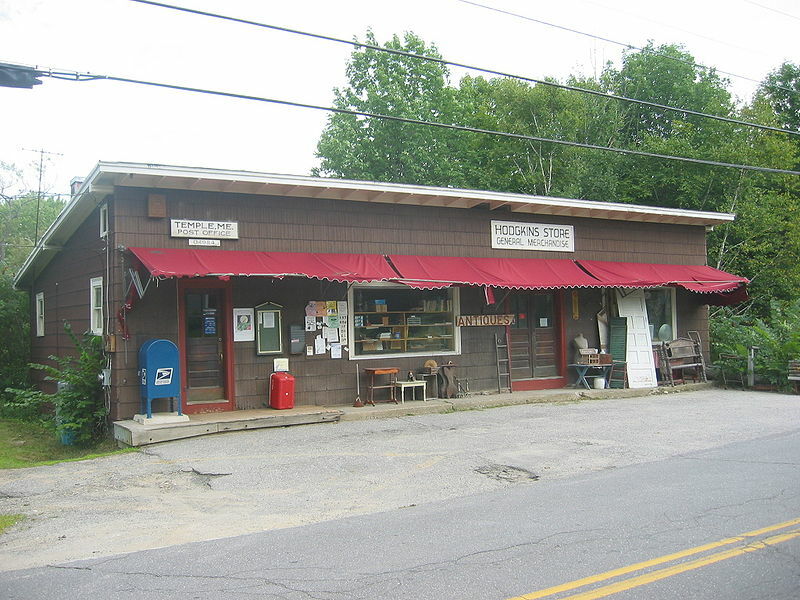 The post office is in the same building as Hodgkins Store at 12 Temple Road. Temple residents should still use “Temple, ME 04984” for the last line of their address. Those receiving rural delivery will not experience any changes or interruptions. All services, including purchasing stamps and mail orders, can be done at the West Farmington post office, including picking up parcels and letters that could not be delivered. Window service hours are 8:30 a.m to noon and 1 to 4 p.m Monday through Friday, and 8:30 to 11 a.m Saturday. Lobby hours are 7:30 a.m to 4:30 p.m. Monday through Friday and 7:30 to 11:30 a.m Saturday. The Temple post office, which is in the Hodgkins Store building at 12 Temple Road, will close March 24 because the building owner is terminating the lease, a United States Postal Service employee said.